Picton is an unincorporated community located in Prince Edward County in South Eastern Ontario, Canada, roughly 160 km east of Toronto. It is the County's largest community and former seat. 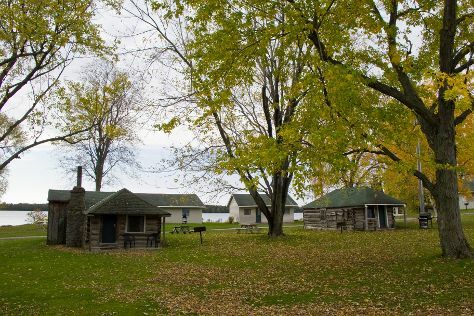 Picton is located at the south-western end of Picton Bay, a branch of the Bay of Quinte, which is along the northern shoreline of Lake Ontario. The town is named for Lieutenant General Sir Thomas Picton, who served in the British army during the Peninsular War in Spain and Portugal. He also saw action at the Battle of Waterloo, where he was killed.It was formerly incorporated as a town.Picton is home to the Picton Pirates of the Empire B Junior C Hockey League in the Ontario Hockey Association.HistoryPicton, originally named Hallowell, was first settled in the 1780s by Loyalists from the Thirteen Colonies.Prior to its incorporation in 1837, the modern-day town of Picton consisted of two separate villages, Hallowell Bridge and Picton, which occupied the opposite sides of Picton Bay.Named for General Sir Thomas Picton, Wellington's second-in-command at the Battle of Waterloo, the Town of Picton has a profound and rich history. It was here that Sir John A. Macdonald managed a law office for his uncle, Lowther P. MacPherson. Picton is in Prince Edward County. Our Canada vacation maker site combines visitor reviews with your personal interests to make an itinerary informed by experts, but tailored to suit your style.